This new listing to the market will attract interest from far and wide, due to the uniqueness of it!! On offer are two separate dwellings on one title, although a new owner may wish to explore the potential? This could be a perfect situation for an extended family, work from home, or simply live in one and rent the other. 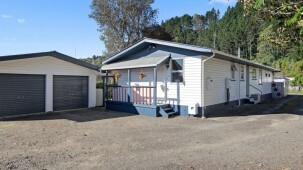 The main home has four bedrooms with bathroom and ensuite (wet floor bathroom). The master bedroom opens out through a ranchslider to a deck and ramp, easily accessible and wheelchair friendly. With winter coming, it's handy to know both properties have been insulated to the current code and together with the Brivis central heating and HRV in the main home, will keep things cosy. The kitchen has been recently upgraded and is well appointed, a feature is the polished timber breakfast bar. The lounge is spacious and there is extra room for perhaps a computer area for the family or a hobby table. Ranchsliders open onto the wrap around deck, leading out to the paved courtyard and entertaining area, where many memories will be made amid the tranquil garden. This property keeps unfolding and at the rear you will discover a large workshop for either the handyman, hobbyist or gardener. 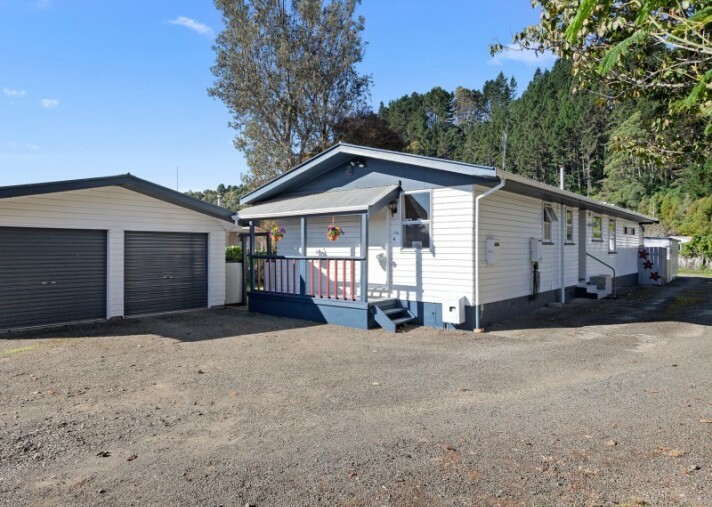 The second dwelling is of a generous size and in great condition, with two bedrooms, modern kitchen and lounge with ranchslider opening out to a deck. There is a separate bathroom, toilet and laundry. The rear setting allows occupants privacy and they can drive right to the front door with undercover parking in the carport and a storage shed. The cottage is currently let at $305 per week. Come and inspect all this and more, there is separate double garage and room to park the camper or boat! The Set Sale will close 1st May 2019 at 4.30 pm with my vendors expecting interest over $595,000. Call me anytime - Chris Robson 027 577 0029 or see you at the open home.